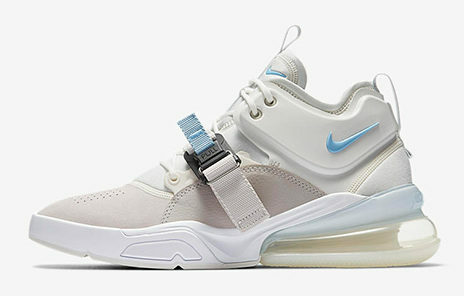 The Nike Air Force 270 makes a bold statement with a huge visible air heel and magnetic strap. Trimmed in clean and subtle colors, these kicks are perfect for spring. North America can grab these kicks on Saturday February 10th, Europe will have to wait until the 17th.